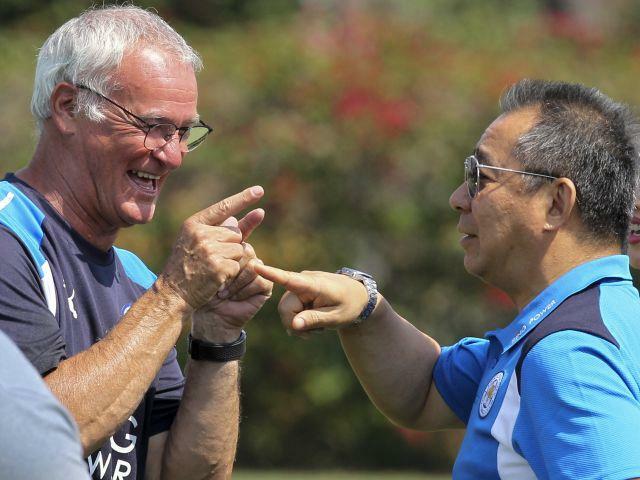 Can Claudio Ranieri possibly make himself even more popular at Leicester in 2016/17? "Just three teams defeated Leicester in 90 minutes across the entirety of 2015/16 – Arsenal and Liverpool in the league and Tottenham in the FA Cup." With the exception of the results, which haven't been great - signing off with 4-0 and 4-2 defeats to Paris St-Germain and Barcelona - pre-season has probably gone as well as Leicester could have hoped. Though the shock Premier League champions lost N'Golo Kante, every other member of their starting line-up has thus far remained, with top goalscorer Jamie Vardy resisting the opportunity to join Arsenal and PFA Player of the Year Riyad Mahrez not demanding a move despite lots of interest. They have added players of international pedigree like Germany goalkeeper Ron-Robert Zieler, Poland up-and-comer Bartosz Kapustka and Nigeria forward Ahmed Musa and they have bought someone of similar profile and statistical merit to Kante in Nampalys Mendy in a bid to replace him. Despite those positives, they are distant [36.0] seventh favourites to retain their title, reflecting the belief that they might need to be even better than last season to deliver again, and the perception that the stars are unlikely to align in such a fashion again. In terms of this game, the Foxes are only expected to be without suspended centre back Robert Huth, yet he of course was one of the key protagonists of their 2015/16 success. The Red Devils are in the same position as the title holders in how they are one ingredient away from a pretty stellar summer - in their case finalising a deal for Paul Pogba, in Leicester's getting to deadline day with Mahrez still on the books. If they capture Pogba then it means they will have reinforced their entire spine, having already recruited a new centre back (Eric Bailly), attacking midfielder (Henrikh Mkhitaryan) and striker (Zlatan Ibrahimovic), as well as hiring a new boss in Jose Mourinho. There are concerns - to what extent was the misery that befell Mourinho at Chelsea last term a one-off as opposed to a sign of decline, is this a false dawn like the optimism increases of the previous two pre-seasons, how much can they climb having gone from never finishing outside the top three to doing so three years in a row - but it feels their best transfer campaign post-Sir Alex Ferguson. Friendly results were mixed, with the high point the demolition of Galatasaray and the low point a heavy reverse to Borussia Dortmund, yet fitness levels are promising. The only anticipated absentees are the banned Chris Smalling and injured defenders Timothy Fosu-Mensah and Cameron Borthwick-Jackson. Even if you perceive that Man United enjoyed a better summer and are in a superior position to challenge for the Premier League title, it is a stretch to believe that they are deserving of being odds-on favourites to beat the champions at [1.95]. Just three teams defeated Leicester in 90 minutes across the entirety of 2015/16 - Arsenal and Liverpool in the league and Tottenham in the FA Cup. The Red Devils drew 1-1 on both occasions and lost 5-3 to the midlanders in their first year back in the top tier under Nigel Pearson. The previous three additions to the list of Premier League winners all lifted the Community Shield that followed. Arsenal thrashed Man United 3-0 in 1998, Chelsea conquered the Gunners 2-1 in 2005 and Manchester City completed the succession plan by taking down the Blues 3-2 in 2012. Mix in the fact that Mourinho hasn't prevailed in any of his three showpiece participations since that 2005 triumph - losing to Liverpool in 2006, failing on penalties to his current employers in 2007 and suffering a first ever reverse against Arsenal 12 months ago - and his side look to be worth laying. The previous three Community Shields were all claimed to nil, but this isn't an overwhelming trend as the four before were all competitive, high-scoring affairs which finished 2-2, 3-1, 3-2 and 3-2, and these two clubs appear primed to restart that run. All four showdowns between Leicester and Man United since the former returned to the Premier League in 2014 passed by without a single clean sheet being kept - nets rippling 16 times in total - while both have been involved in goal-heavy pre-season programmes. The Foxes' three fixtures at the International Champions Cup churned out 12 strikes, with two of those rewarding both-teams-to-score backers, while Mourinho's men's two meetings with other European heavyweights did likewise as they thrashed 5-2 and were thrashed 4-1 by Dortmund. Two of the Portuguese boss' three Shield served up goals for both his squad and their opponents and this one is around [1.98] to do the same.